The 10th program in the ORIGINS series features a conversation with Bernie Herman, the department chair and George B. Tindall Professor of Southern Studies at the University of North Carolina in Chapel Hill. 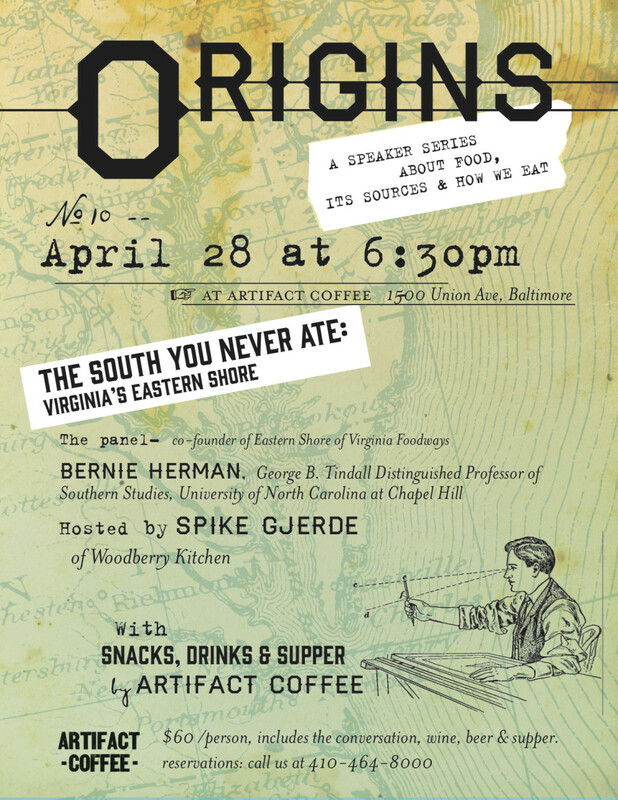 The discussion will focus on the food, foodways and culture of the Eastern Shore of Virginia. Herman, along with Tom Gallivan, Mills Wehner and Heather Terry Lusk, founded the ESVA Foodways, LLC. Their collective goal is to create one job for one person so one family doesn’t have to leave this area.